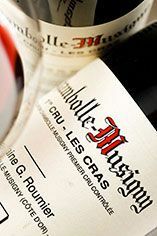 The Wine Advocate - Roumiers 2009 Chambolle-Musigny Les Cras can sometimes be a bit edgy, but not in 2009. A cool vein of minerality supports the expressive fruit all the way through to the long, intense finish. Burghound - The 2009 Chambolle-Musigny "Les Cras" is ripe but definitely fresher and without the reductive funk to the pure red pinot liqueur-like nose trimmed in both spice and mineral nuances, both of which can be found on the detailed, intense and stylish flavors that brim with plenty of dry extract, all wrapped in an explosive, focused and lingering finish. A classic Les Cras 1er Cru wine that is really quite classy. 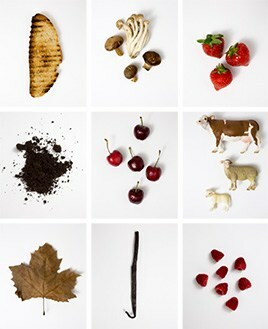 Jancis - Very sweet and round and easy – perhaps without quite the zest of the Combottes. 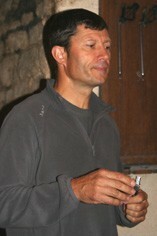 Charming, though Christophe finds it straight and more angular... which perhaps it is on the finish. Parker - Roumiers 2009 Chambolle-Musigny Les Cras can sometimes be a bit edgy, but not in 2009. A cool vein of minerality supports the expressive fruit all the way through to the long, intense finish.